Notes, quotes and things picked up on the run from coast-to-coast and all the stops in between and from between and beyond. Biddy Mason, the city’s first Black entrepreneur. Her great, great, great granddaughter, Cheryl Cox, celebrated her 200th memory at 333 Downtown L.A.
Bridget "Biddy" Mason was an African American nurse and a former slave who became a wealthy landowner, California real estate entrepreneur and philanthropist. She is the founder of the First African Methodist Episcopal Church in Los Angeles, California. 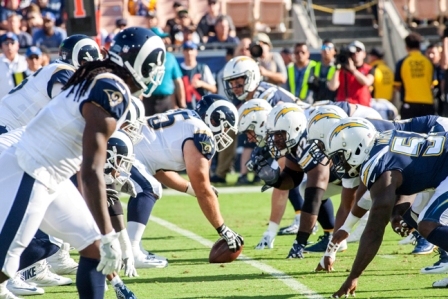 The L.A. Rams and Chargers played in the Coliseum back in 1964. Known as “The Greatest Stadium in the World,” the Los Angeles Memorial Coliseum, a living memorial to all who served in the U.S. Armed Forces during World War I, has been a civic treasure for generations of Angelinos. 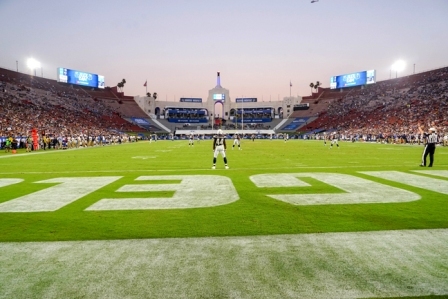 The legacy of events and individuals hosted in nine-plus-decades reads like no other: the only venue to host two Summer Olympics (Xth Olympiad in 1932, XXIIIrd Olympiad in 1984) and soon a third (XXXIVth Olympiad in 2028); home to college football’s USC Trojans since 1923 and the UCLA Bruins (1928-1981); professional football’s Los Angeles Rams (1946-1979 and 2016-2019), Raiders (1982-1994) and Chargers (1960); hosting three NFL Championships and two Super Bowls; home to the Los Angeles Dodgers (1958-1960) and the 1959 World Series; appearances by U.S. Presidents Franklin D Roosevelt, Dwight Eisenhower, John F. Kennedy, Lyndon Johnson, Richard Nixon, and Ronald Reagan; and international dignitaries such as Martin Luther King, Jr., Cesar Chavez, Pope John Paul II, the Dalai Lama, and Nelson Mandela. From Mick Jagger to the Harlem Globetrotters, the Grateful Dead to Billy Graham, Evel Knievel to Pele, the Memorial Coliseum, named a National and California Historic Landmark in 1984, has been the stage for the unbelievable, the unforgettable, the iconic, and the best in human endeavor and achievement. 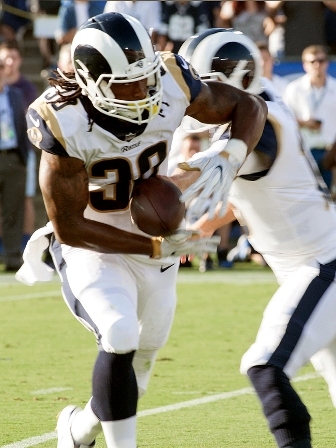 L.A, Rams running back Todd Gurley signed a four-year contract for $164 million dollars. Gurley attended Tarboro High School in Tarboro, North Carolina, where he was a three-sport star in football, basketball, and track. He played running back and defensive back during his junior season, totaling 1,472 rushing yards and 26 touchdowns, as well as 79 tackles, an interception, and a forced fumble. He was named Rocky Mount Telegram All-Area Offensive Player of the Year for the 2010 season. As a senior in 2011, he was the North Carolina Associated Press Player of the Year after totaling 2,600 yards and 38 touchdowns. Gurley helped the Vikings football team win the 2A North Carolina state championship, rushing for 242 yards and four touchdowns in the championship game against Lincolnton High School. During his junior year he led the Vikings to a state championship. During his sophomore year he led them to state runner up. Gurley was also a world-class hurdler and sprinter for the school's track & field team. He competed for Team USA in the 110-metres hurdles at the 2011 World Youth Championships in Athletics, where he placed 3rd in the prelims with a career-best time of 13.66 seconds, but finished 15th overall in the semifinals. Also a top competitor in the 100-meter dash, he ran a personal-best time of 10.70 seconds in the prelims of the 2011 NCHSAA 2A State Track Meet, placing 2nd.